How Far is Space India Krishna Park? Krishna Park is a Joint Venture Project Of Space India And Krishna Developers. 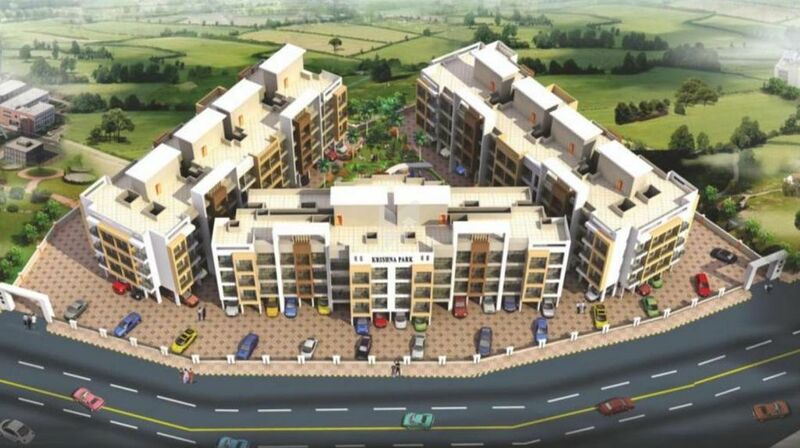 Krishna Park is a premium Luxury Residential complex presented by Space India Builders & developers which is located at Padghe, near Kalamboli steel yard next to Haware Township Project in Navi Mumbai. It comprises of 10 Buildings with Flats with lift of Stilt +3 design. The Kalamboli & Navade Railway Station is only 1.5kms away from this project. The Taloja Railway Station and Taloja MIDC metro station is in the vicinity. The Navi Mumbai International Airport is 5kms away from the said location & the MGM Circle and NH-4 is in the locality.